When you rely on us for treatment, you’re always in good hands. In fact, you won’t find a staff that’s more dedicated to this profession. We truly enjoy helping patients reveal their best smiles. And we enjoy working closely together to get the job done. Our team feels like a family. That’s why most of us have worked side-by-side with Dr. Quinn for so many years. Heather is Dr. Quinn’s Front Desk Coordinator. She is the smile you will see at the desk upon entering our office. She will assist you in scheduling your appointments with Dr. Quinn. Heather has worked in the orthodontic field since 1979, and began working for Dr. Quinn in 1993. The best thing about working for Dr. Quinn is her friendly coworkers and the patients—seeing the positive results in their smiles due to Dr. Quinn’s expertise is most rewarding! Heather was born in Honolulu, and grew up in San Francisco where she discovered a passion for dance in college. She danced professionally for 13 years in the Bay Area. In addition to dance, Heather enjoys listening to music, browsing YouTube and enjoying the beauty and diversity of San Francisco with her wonderful husband. Susan is a Registered Dental Assistant. She joined Dr. Quinn’s wonderful team in January 2010. She has worked in the dental field for over 7 years in both general and orthodontics. Susan grew up in the North Beach area in San Francisco and now living in the East Bay with her husband and two beautiful children. In her spare time, she enjoys biking, shopping, and spending quality time with her friends and family at the park. Ann is the Treatment Coordinator at Dr. Quinn’s office. She is very experienced in helping our patients with treatment planning, insurance and medical reimbursement concerns. Ann has worked in the orthodontic field since 1993, and joined Dr. Quinn in 1999. Ann had training in business administration, as well as experience in working for a dental insurance company. In her spare time, Ann enjoys taking walks and playing sports with her children. She also likes catching up on the latest movies, origami and travelling with her family. Lena is a Registered Dental Assistant. A native San Franciscan, Lena holds an A.S. in Dental Assisting from City College of San Francisco, and a BA in Health Education from SF State University. Lena worked exclusively in orthodontics since 1979 and has been with Dr. Quinn’s practice since 1991. She appreciates the progressive style of the practice and keeping abreast of the latest developments in the orthodontic field. Seeing that big smile when she removes a patient’s braces is the most satisfying aspect of her work. In her spare time, Lena enjoys watching movies and spending time with her friends. Margie is a Registered Dental Assistant and has worked in Dr. Quinn’s office since 1990. She grew up in Seattle, still her favorite vacation spot. Margie is the office’s Invisalign coordinator and will see to it your aligners arrive on schedule. She lives in South San Francisco with her husband and daughter. In her free time she enjoys walking, swimming and handy work around the house and backyard. 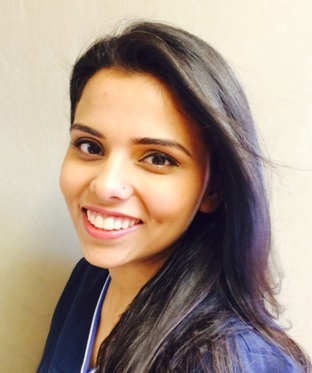 Seerat has a Bachelors in Dental Surgery from The National Dental College and Hospital in Chandigarh, India. She plans on attending the International Dentistry Program at UCSF in the near future but for now is happy gaining work experience at Dr. Quinn’s office. She has been working in the dental field since 2009. During her free time Seerat enjoys visiting wineries, practicing yoga and playing with her rescue dog, Maccabee.